Round Diamond Wedding Set | Shane Co. Dazzling in diamonds, this spectacular wedding set swirls with 40 round diamonds, at approximately .29 carat total weight. 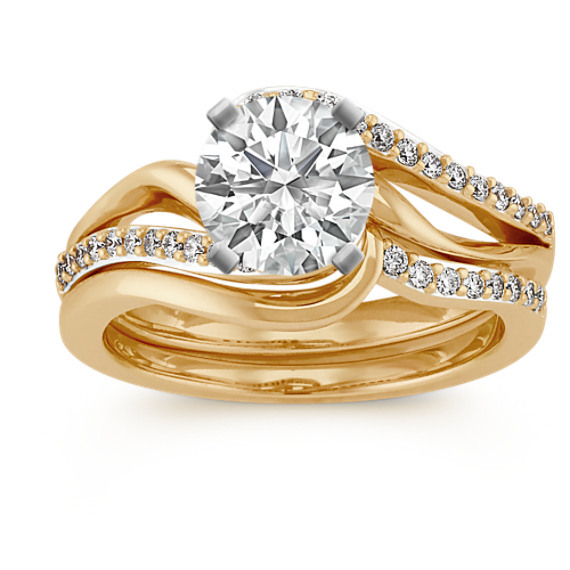 Sparkling in an elegant 14 karat yellow gold setting, this wedding set will make the perfect backdrop for the center stone of your choice. Gemstone Carat Weight :.29 ct.